​It's almost impossible for the ​Cincinnati Reds to attract big time free agents, especially pitchers, as they are in arguably the most hitter-friendly ballpark in baseball. 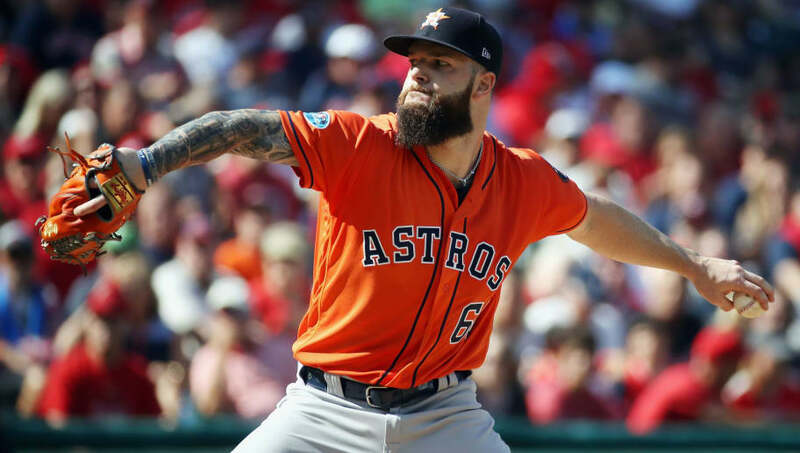 However, according to Jon Heyman of Fancred Sports, the Reds are "all over" former AL Cy Young Award winner Dallas Keuchel in free agency. ​​From the beginning, Keuchel has made it known he wouldn't mind pitching in New York for the Yankees. Hell, he'd even ​shave his epic beard to pitch in the Bronx. If the Yankees felt the same way, that would obviously hurt their chances of signing Keuchel, but the big-time interest the Yankees have in Patrick Corbin could force Keuchel to look elsewhere. The 30-year-old's ability to create soft contact and get the ball on the ground would help his chances of having success in Cincinnati. In 34 starts this past season, Keuchel posted a 3.74 ERA over 204.2 innings. The Reds have money to spend and they have a desperate need for starting pitching. We could be looking at an overpay by a team trying to generate some buzz and expedite their window to win.